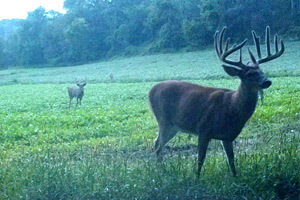 When it comes to land for hunting, fishing and general outdoors purposes, interested buyers may want to consider a proactive small habitat management plan. Hunters and other outdoors enthusiasts can benefit in unique ways when the environment fosters deer, small game and natural growth (timber). Having robust habitat and wildlife can also help potential landowners improve the value of a property. By strategically managing the natural resources of a small or medium-sized property, landowners may improve their opportunities to create seasonal leases, improved hunting and recreation. It all comes down to appropriate habitat management. Habitat management begins with the basic principles used to oversee a business. Consider the land in general. Trees, Ag land or fields, undergrowth, deer and wildlife population as general assets. If this were a brick-and-mortar business, you would likely have a spreadsheet detailing the assets. Managing a habitat is not much different. Start by doing extensive recon work and compile the information into some form of database. This should include total number of acres of forest, ag fields, underbrush and water sources. Also take inventory of types of trees, terrain and the overall flora of the property. These are all pieces to the land’s habitat puzzle. The more difficult information will likely be putting a number on the deer herd and other types of game. Many outdoors enthusiasts get a sense of herd density by placing trail/game cameras in various places on the property. Game trails, feeding areas, old logging roads and water sources are excellent places to put up cameras to monitor game activity. It will also be vital to make a strong estimate about male to female (buck to doe) ratios. As far as waterfowl, no one can put an exact number on migrating herds but having a general knowledge will prove valuable when making decisions. Habitat management excellence generally requires landowners to embrace or create acres that blend forest, brush, and fields. If you own a property that is forest only, consider working with a timber company to harvest some timber or an excavator to create new growth food sources. Clearing land to make a food plots or fields will also help attract wildlife. This will create new food sources and open areas for game to gather. New trails will also be developed by the timber harvest or excavator and wildlife and deer will immediately start using the new structure you have created. Another strong habitat necessity that is starting to gain strength in recent years, is unimpeded access to water. Water is essential to all wildlife. 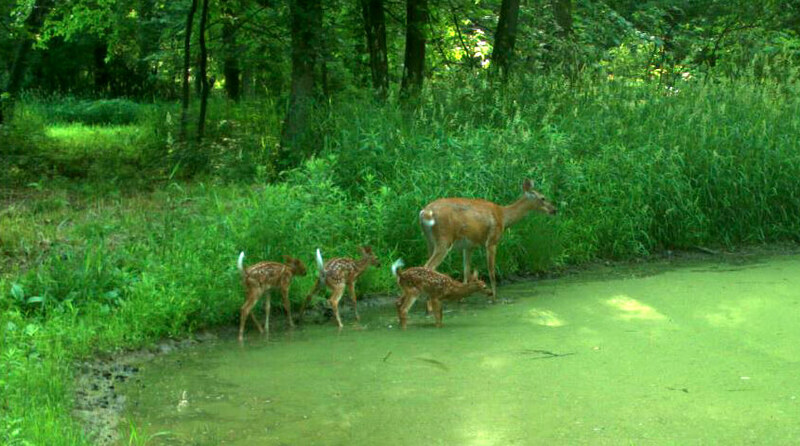 Although deer and other wildlife will find their way to ponds, streams, rivers and other water sources. All deer and wildlife will gravitate to easy water access. A landowner can easily create waterholes within the newly created food plots by asking the excavator to create you a water hole. Another way to create a water source is to place a water tank or a Wild Water watering system placed anywhere you want to attract deer or wildlife. The Wild Water system is a new product from Banks Outdoors Co. 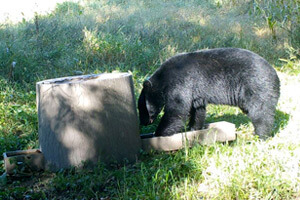 The Wild Water system works great for bringing water to a property. Also, it is easily moved to any place you want to put it and it is easily refilled by the owner at any time that water is needed to be added. 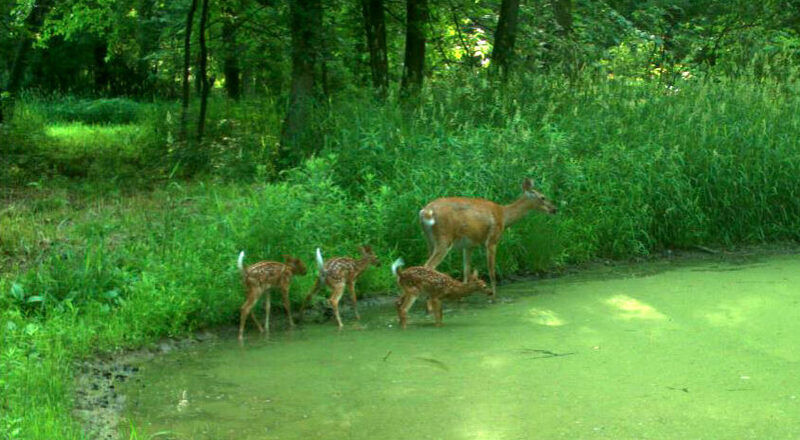 Deer and wildlife will gravitate to this easy water access! Another vital aspect of a robust habitat is creating safe zones for game. Selecting an area of the property and keeping it “off limits” or a safe zone will create an area that deer and wildlife will feel comfortable in and will in turn keep them on your property. Deer and other game will shy away from your land if they sense ongoing danger, over use of ATV’s, constant travel through areas that they would normally use as feeding or bedding areas. By making small tracts of land attractive to deer and other wildlife, you can expect improved hunting and over wildlife viewing. Owning land that you can hunt, fish or camp on is certainly a win-win.